A good photographer isn’t defined by their equipment but how they overcome limitations. 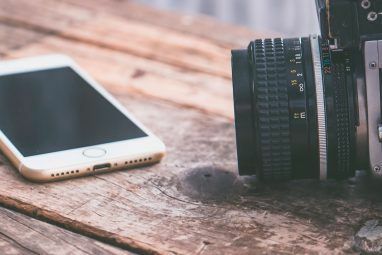 While our smartphones are equipped with better cameras than ever before, we’re still stuck with the same digital zoom technology that’s been around for years. That’s because there’s no fixing digital zoom – it’s permanently broken, and has been all along. 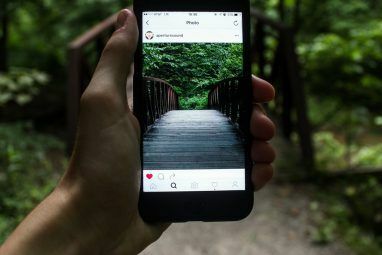 There are better ways of taking smartphone photos Top Tips: How To Take Great Photos With Your Smartphone Top Tips: How To Take Great Photos With Your Smartphone Smartphone and mobile photography are becoming increasingly popular. And no wonder. 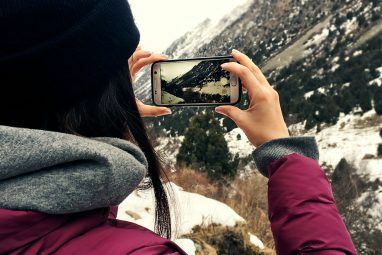 Every year, mobile and smartphone cameras get better and better, until many people don’t feel the need to carry real cameras around anymore. While... Read More than to use digital zoom, especially if you don’t want blurry images 5 Ways to Avoid Blur with a Smartphone Camera 5 Ways to Avoid Blur with a Smartphone Camera I think it's safe to assume most people take their smartphone cameras for granted, despite the leaps and bounds made in pocketable picture-taking technology. Unfortunately a lot of the time our smartphones produce overly blurry... Read More and distant subjects. Today’s article is all about getting more from your iPhone, Android or other smartphone lens. Some people don’t think digital zoom is that bad, but I’m not one of them. I personally never see a need to ever use digital zoom, and I think you’re better shooting without zoom and then cropping your photo afterwards instead. This is because digital zoom isn’t magnifying your image but stretching it instead, and this is one sure-fire way of losing clarity and image quality. For quick snapshots, digital zoom might not make a huge difference and if you really have to use it then be sure to not go too far and use it at its maximum levels. Digital zoom at 2x will stretch all pixels by a factor of two, which is noticeable but not unforgivable. A digital zoom of 4x on the other hand will probably destroy image quality. The best results you can get from your smartphone camera come from accessories and dedicated optics 6 Gorgeous, High-End Smartphone Accessories Your Phone Secretly Dreams Of 6 Gorgeous, High-End Smartphone Accessories Your Phone Secretly Dreams Of So you own a smartphone, what's next? For most of us, the answer is "nothing". Smartphones are expensive as it is, and together with the case and screen protector we usually end up getting (we... Read More . There are a number of purpose-built zoom lenses for smartphone photographers, designed solely to provide magnification without resorting to digital zoom or moving closer to your subject. Tailor-made zooms like the Photojojo 2x $20 telephoto and slightly more expensive $35 8x-12x telephoto work, though can be a little unwieldy and provide relatively “soft” images due to the quality of the optics. There an endless number of cheap and flimsy no-name models that cost a few dollars each on eBay, but you should expect similar quality to the price you pay. Photojojo also produce their own SLR mount for iPhone at a price of $250, though they have Canon and Nikon mounts available. Those of you with plenty of time and a steady hand can try and build a DIY SLR mount, as seen on captin nod’s blog where he builds his own rather impressive iPhone SLR rig. Whether you are using digital or optical zoom, steadying your shot with a tripod will provide best results. The longer the lens (and the higher the magnification), the more unstable the shot will potentially be and while modern smartphones like the iPhone 5 and Samsung Galaxy S4 come with image stabilisation, it’s not necessarily enough to save every shot. If you’re zoomed in, you’ll need to maintain a very steady hand or use a tripod for best results. 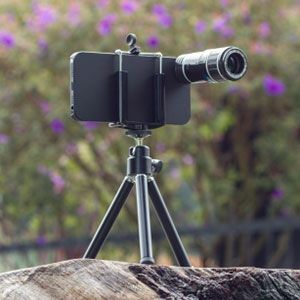 There are a range of smartphone adapters that allow you to connect your device to a standard tripod, such as The Glif and Joby’s GripTight Mount at $30 and $20 respectively. If you’re not keen on spending that sort of money you could always make your own using one of Tina’s tested designs 3 Cheap & Easy DIY Smartphone Tripod Mounts Made & Tested 3 Cheap & Easy DIY Smartphone Tripod Mounts Made & Tested Unless you are an avid photographer, you'll hardly miss the added features of a proper camera. Too bad your tripod isn't compatible with your smartphone. Or is it? Maybe one day smartphones will come with... Read More , most are small enough to fit in your pocket when not in use. Of course, you might find that you don’t always have a tripod nearby and in this case it’s within your interests to be opportune. Resting your phone on a nearby static object (even the floor) might just provide the temporary stability you need to come away with a great shot. A very real possibility for smartphone photographers and videographers, particularly those who want to capture sport and nature, is to use binoculars. 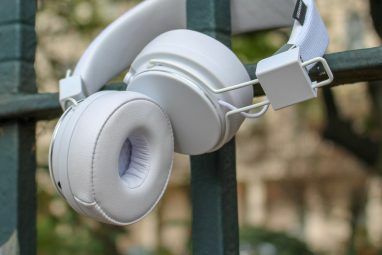 Only recently did Kickstarter project Snapzoom make a splash on the enthusiast scene by effortlessly reaching the $55,000 target and securing orders from retailers like B&H Photo. Snapzoom is a completely universal smartphone binocular mount which is expected to retail for $79.99, though at present you can only pre-order. If you can’t wait however, one Instructables user has come up with an interim solution – a DIY binocular mount for smartphones. It’s not exactly going to provide the same results as the tailor-made crowd-funded version but the sample shots are a lot more impressive than I was expecting them to be. If it’s close-up photography you’re interested in you’ll want a macro lens for your smartphone. You can either choose from a range of tailor-made products such as the Olloclip, a 3-in-1 fisheye, macro and wide-angle clip-on lens or opt to make your own. While the Olloclip isn’t exactly cheap at just short of $70 for the latest iPhone 5 variant, impressive macro results can be had without spending a penny. By using lenses you have lying around, you can fashion your own version of the Olloclip using some blu-tack or masking tape and a little trial and error. Spy-glasses for doors make excellent macro lenses, though you’ll want to break the viewer down to its smallest pieces as described in this Instructables guide. Macro and wide-angle lenses can also be fashioned from old DVD players (the lens used to focus the laser) as well as disposable or just plain old film and digital cameras. WonderHowTo describes how to use a drop of water to magnify your subject, and while this works it’s not exactly practical (and there’s always the possibility of water penetrating the lens seal). Do you have any tips for better smartphone photography? Have you got an Olloclip, or did you make yourself a lens for your smartphone? Share your thoughts, ideas and best shots in the comments, below. Explore more about: Digital Camera, iPhoneography, Photography, Smartphone Photography. These accessories are indeed very practical ! I would love to try one of them ... But i get the feeling that you left out some other incredible products ! Please can you do some more reviews of other products, maybe some that are a bit less expensive, i would love to read more! Look at what you can find at phonephotoart.com , they are specialized in smartphone photography. I bought an awesome telescope for my phone from them, it is just awesome...!! You can get a really wide range of phonelenses.online these days for your mobile phone from zoom lenses to fish eye lenses. Some of the lens kits have multiple lenses that clip onto a single attachment so it's super easy to swap them out so it's a great choice instead of taking your DLSR camera out with you. I'm always scouring eBay for all sorts of lenses that can be attached to any/most phones. So far I've got my hands on a 5x fixed-zoom, adjustable-focus lens, a wide-angle/fish-eye lens and a macro lens that seems focussed at about 5mm for very up close and personal work that I use with both my Desire HD and iPhone 4S (work phone). I've also got a phone-holding mini tripod, which is nice for night shots. They usually only cost around £5, so it's no great expense for hours of fun on a day out. I recently acquired the 12x zoom lens and case from the photo at the top of the page for my Note 2. It's great for the $50 I spent and I am very satisfied. It came with a case, the lens, a handy mount for a tripod and a small tripod. The lens appears to be built very well while the case is a disappointing plastic. All in all I would give it an 8/10. I have been able to take some fantastic shots with it. Got mine at a little cell shop in San Fran on the pier. Sticking a magnifying glass to the back of my N8 makes for good macro shots. For long range shots, I've been trying to attach some old camera lenses without much success. Its said that the best camera is the one you are holding right now. Yep, I call it overcoming limitation. I'm going to be taking a more in-depth look at some lenses soon - did you get a telephoto working? I'm not sure how to approach a DIY tele lens (macro/wide-angle is easier to achieve), but I'm going to give it a go. I did get good results in macro lens, for shooting ants, insects and little bugs on plants. For telephoto, the camera lens produced blurry pictures and videos. Though a monocular lens did a difference, long range shots were possible, producing clearer videos only. Focus was a total miss in picture mode. Well, lenses do allow a much smaller minimum focusing distance in a lot of instances (the Photojojo macro has a ridiculously small MFD). Also, I'd be interested in which cameras have manual focusing ability - do you mean as software, as in tap to focus? I wouldn't say that was quite manual focus, you need a focusing ring (or ability to specify a focal plain) if you want to be truly manual. I'd love an iPhone app that would let me do that, but I'm not sure if the camera even supports it.